BLOG GIVEAWAY: My First Blog Giveaway! 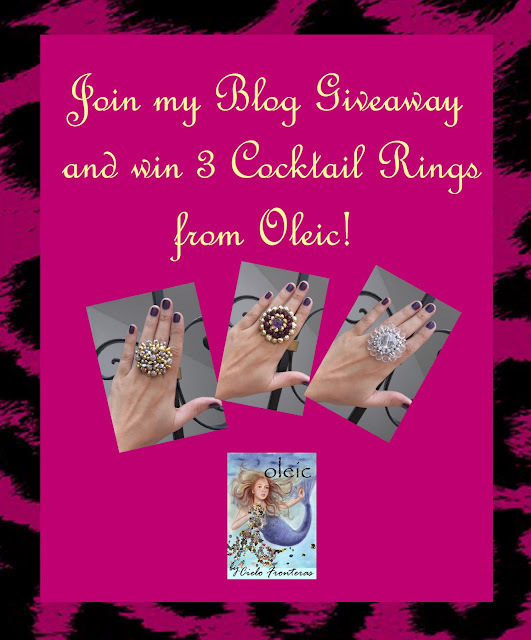 One lucky winner will receive 3 OLEIC Cocktail Rings from the OLEIC Fashion Gallery! It's very easy to join! All you have to do is follow these steps on Rafflecopter. This blog giveaway will end on June 11, 2012 (Monday) at 12noon.